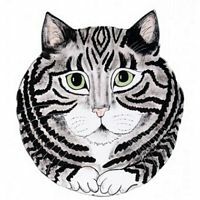 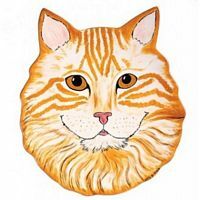 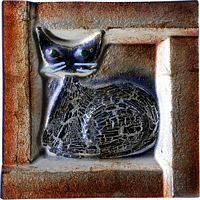 Beautiful hand-made glass square plate with 1 cat featuring. 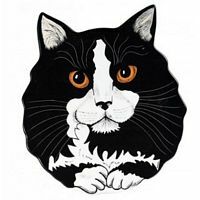 Handwash only with a soft damp cloth. 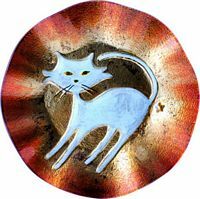 Reminds me of the cats in Rosina Wachtmeister's artwork. 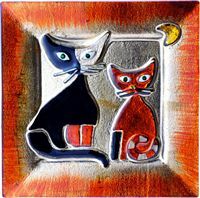 Beautiful Cats at Night feature 2 cats in the moonlight.